It is one of the rarest portraits in the history of portraiture in India due to its sheer size and history. 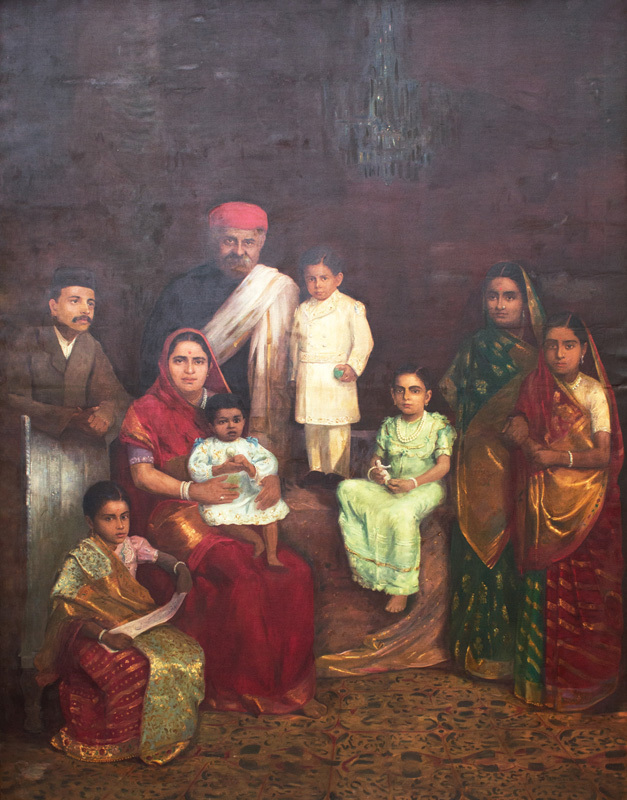 Ravi Varma did individual portraits of the Baronets family, however Chinubhai wanted him to do a family portrait. But due to Varma’s early death this wish could not be materialized. So then Chinubhai Baronet called the court painter of Baroda and got this family portrait made. It is also the largest portrait by Rahamin and a proof of his skill and the stillness of the artist’s hand that allowed him to execute such a magnanimous work of art. It is done in the mansion in which Varma stayed when he visited Ahmedabad. 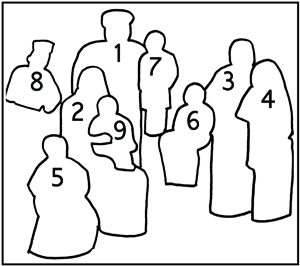 The names of the family members are given below.